The voice sounds as if it were physically ‘there’ between the loudspeakers, with the only real limitations coming from the loudspeaker boxes. You quickly begin to realise this ‘thereness’ holds throughout, but it also comes from the midrange out. Where this valve amp comparison hits home is in soundstaging. The Cyrus has a rare and valuable sense of three-dimensionality in its imaging that normally comes from the thermionic end of the amplifier spectrum. And yet, unlike thermionic valves, the Cyrus 200 is state of the art and relatively cool running in use. The live Shostakovich and Tchaikovsky piano trios played by Argerich, Kremer, and Maisky [DG] are a fine example of this soundstaging at work, in that you get a sense of the physical stage itself, and of three artists playing to a live audience through ambient information. I think Cyrus has nailed Class D with the 200 power amplifier. I’ve heard my fair share of Cyrus amplifiers in my time, and this one is at least up there with the best of them. But more than that, the Cyrus 200 is an important amplifier, because it shows what Class D can do without costing a small fortune. While I’ve ‘banged on’ about Class D here (partly because the technology still has to justify its place in the audiophile hierarchy), I suspect most people who hear this amp will simply buy it because it sounds damn good. Highly recommended. The song’s wonderfully thick and fruity bass guitar sounds effortless, even at very high levels that would have many similarly priced products wheezing. It is also pleasingly tuneful and stops and starts in all the right places, giving the sound a rhythmic correctness that underpins everything else in the mix. The amplifier is able to blend everything together well, giving a detailed, multi-layered sound that is a pleasure to listen to. 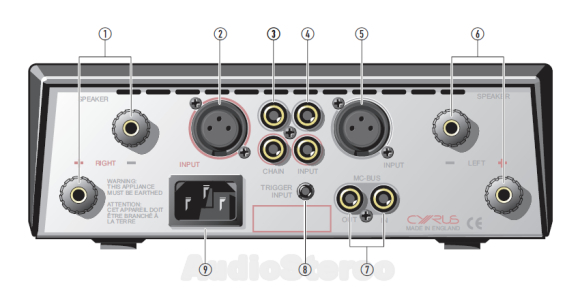 The Stereo 200 conjures up a spacious recorded acoustic, yet one that invites the listener right in. Again that strong bass is in evidence, and at high volume levels gives the amplifier a commanding sound. Once again, its supple handling of the song’s bass guitar pushes things along with alacrity, while vocals are clean and expressive and guitars upfront and engaging. Can tackle crashing electric guitar chords and drums with relish. 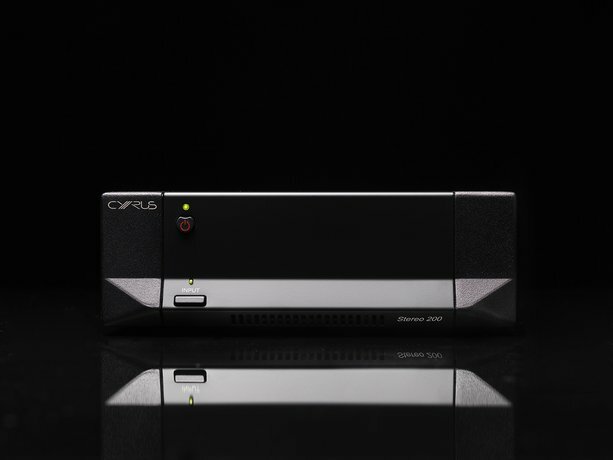 It’s certainly one of the feistiest sounding Cyrus power amplifiers I have ever heard. Has real appeal for those needing a fine-sounding powerhouse that doesn’t take over their living space. LIKE: Big power in a small package; gutsy, musical sound. WE SAY: Excellent value compact powerhouse. Once again this proves that a Cyrus device creates its proverbial musicality from the wonderful midrange. Even verbal contributions appeared unbelievably natural, colourful and in fact a little bit charming. 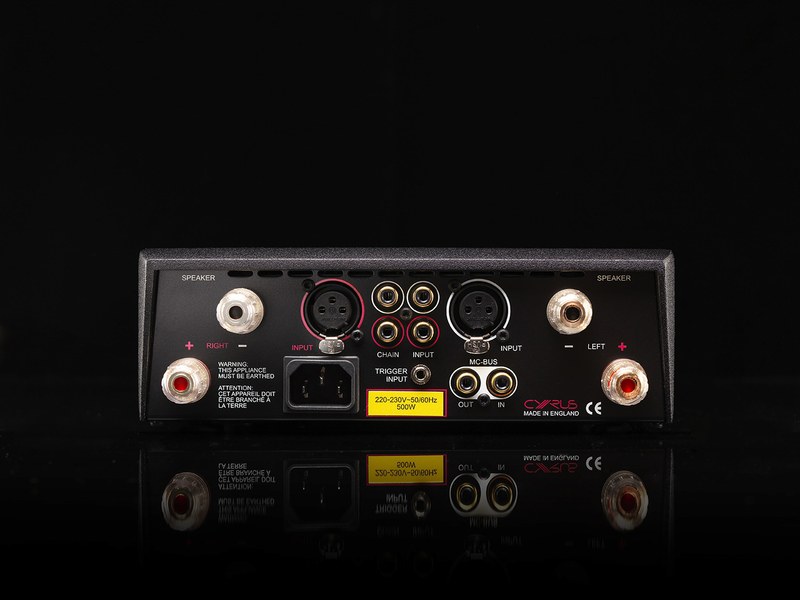 The Stereo 200 is one of the few Class D amplifiers that are able to take on the best of the comparable parallel classes A and AB. There is no trace of pale timbre or dull trebles which certainly results from the relatively high upper frequency limit and the trained ear of Peter Barlett who personally adjusts every device for the serial production. 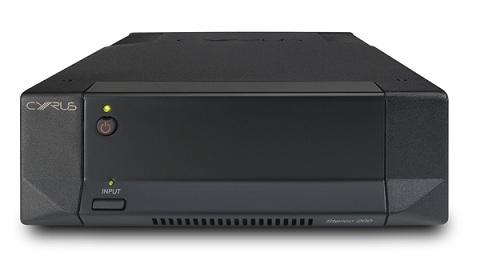 The top-class Stream combines DAC, network player and pre-amplifier for rather reasonably priced 2790 Euros. Only an analogue input will most likely be missed by some people. Overall, this device is energetic and puts heart and soul into playing music while it stays smooth and deeply musical. The same goes for the super strong power amplifier. Kudos! 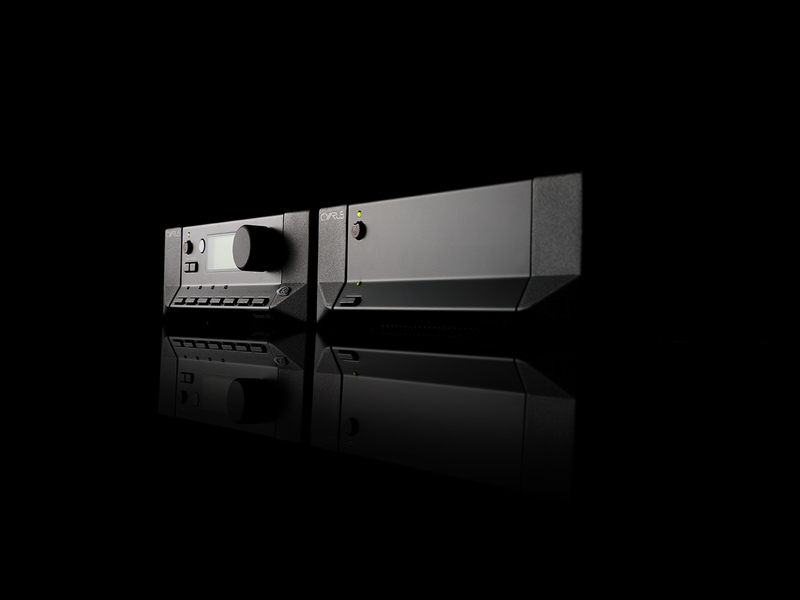 Stereo 200 is a high performance power amplifier incorporating a new and unique Cyrus topology that combines the benefits of high efficiency and lower heat generation from a digital output stage, with our highly refined analogue power supply design. Delivering a herculean 2 x 200 watts into 6 Ω from the single ½ width Cyrus die-cast aluminium chassis, this amplifier is intended to fit in the range between the X Power and the Mono X 300 Signature. A new 200 watts per channel stereo power amplifier using a unique hybrid design, this high quality power amp provides immense power from a very compact chassis. An ideal match with Stream XP₂ Qx or Pre DAC models.